You are currently browsing archivist’s articles. The Westminster Shorter Catechism, Question 10. Q.10. How did God create man? God created man, male and female, after his own image, in knowledge, righteousness, and holiness, with dominion over the creatures. Male and Female.—Man and Woman. After his own image.—After God’s likeness or resemblance. With dominion over the creatures.—Having power, or authority, over the beasts of the field, and the birds of the air, and the fishes of the sea. That God made man male and female.—Genesis i. 27. God created man—male and female created he them. That man was made after the image or likeness of God.—Genesis i. 27. God created man in his own image. That God’s image consists in knowledge, righteousness, and true holiness.—Colossians iii. 10. And have put on the new man, who is renewed in knowledge, after the image of him that created him.—Ephesians iv. 24. The new man, who, after God, is created in righteousness and true holiness. 4. That man, when first created, had dominion over the creatures.—Genesis i. 28. And God blessed them, and said unto them,—Have dominion over the fish of the sea, and over the fowl of the air, and over every living thing that moveth upon the earth. Happy Birthday! The following PCA churches were organized [particularized] on this day, in the year indicated. Nearly one-third of all PCA churches pre-date the 1973 formation of the PCA, and for most of those churches, we do not presently know their exact date of organization. Typically it is the newer churches where we have that information. Please let us know if we missed a church’s anniversary date and we’ll add it to our list for future use. In some cases here we are using the date when the church came into the PCA, rather than when it was organized. Covenant Presbyterian Church, Birmingham, AL [Evangel], organized March 4, 1979. Covenant Presbyterian Church, Columbia, SC [Calvary Presbytery], organized March 4, 1951 and was among the founding churches of the PCA in 1973. Parish Presbyterian Church, Franklin, TN [Nashville Presbytery], organized March 4, 2007. River’s Edge Community Church, Oella, MD [Chesapeake Presbytery], organized March 4, 2007. Covenant Presbyterian Church was formally organized by a commission of Congaree Presbytery of the Presbyterian Church in the United States on Sunday, March 4, 1951, in a service held at Watkins School. 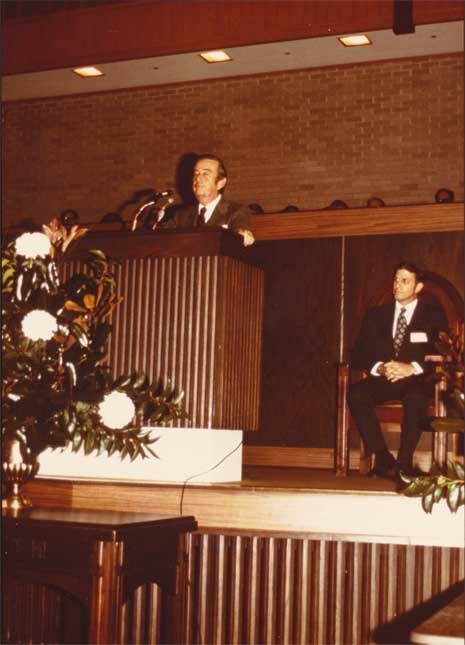 The Reverend Harry F. Petersen, Jr., Executive Secretary of Congaree Presbytery, was instrumental in the founding of the church and leading it during the early years before a pastor was called. Pastors of the congregation have included the Rev. Cecil D. Brearley, Jr. (1954 – 1960), the Rev. Harry T. Schutte (1960 – 1977), the Rev. J. Gary Aitken (1977 – 1990), the Rev. LeRoy H. Ferguson (1991 – 2001) and the Rev. Eric R. Dye (2004 – present). The congregation met in Watkins School until August of 1951. We moved when construction of the first sanctuary was completed on property on Alms House Road in the rapidly growing northeastern area of Columbia. Alms House Road was later renamed Covenant Road after the church. In 1959, a new church sanctuary and children’s building were dedicated on the same property. Additional buildings have been added since then to support our ministry. On July 1, 1973, Covenant Church voted to pull out of the Presbyterian Church in the United States and join the newly organized, more reformed Presbyterian Church in America. In addition to its witness to Christ, Covenant has served members of the congregation and community with a Christian school. Beginning with a kindergarten and adding elementary grades in 1982, Covenant Presbyterian Day School was established. The school, now known as Covenant Classical Christian School, has grown to a full K4-12th grade Classical Christian School with a current enrollment of 166. Many of Covenant’s members are now serving as ministers in Presbyterian churches, on the mission field and other Christian ministries. Covenant has always taken an active part in the work of the higher courts of the church. Its pastors and many of its members have served on Presbytery and General Assembly committees. Quest. by 1. WHAT is the chief end of man? What Happened To The Signers Of The Auburn Affirmation? 1. The full inspiration and inerrancy of the Bible. 2. The Virgin Birth of Christ. 3. His substitutionary atonement by which He satisfied Divine justice and reconciled us to God. These five doctrines, which became known as the “Five Points,” had previously been declared to be “essential” doctrines by the General Assembly of the Northern Presbyterian Church in 1910 and later in 1916. In The Southern Presbyterian Journal of July 1949, the heresies and apostasy contained in the Auburn Affirmation were discussed in more detail than available space permits here. What ever happened to the Presbyterian ministers who signed this infamous Auburn Affirmation? Were any of them ever tried for heresy? Were any of them expelled from the Northern Presbyterian Church? No, strange to say, not one signer of the Auburn Affirmation was ever tried for heresy or dismissed from the Northern Presbyterian Church. Back in 1893 the General Assembly had convicted Dr. Charles A. Briggs of heresy and had suspended him from the ministry of the Northern Presbyterian Church for teaching, among other things, that the Scriptures contained error. And on similar charges Professor Henry Preserved Smith, of Lane Seminary in Cincinnati, had likewise been convicted of heresy and had been suspended from the ministry of that denomination in the last decade of the nineteenth century. But after the Auburn Affirmation was published in 1924, none of the almost 1,300 signers of that document were ever even tried for heresy. As some of the Bible-believing members of the Northern Presbyterian denomination freely admitted later, the Conservatives failed to do their full duty in this connection. The Conservatives in the Northern Presbyterian Church did make some attempt to deal with the Auburn Affirmation heresy. For instance, in April of 1924 the Presbytery of Cincinnati presented to the General Assembly of that denomination an overture which officially placed the Auburn Affirmation before it, with the request that proper action be taken in the matter. This overture was referred to the General Assembly’s Standing Committee on Bills and Overtures, which was known to be “extremely liberal’’ — and which had four Auburn Affirmationists in its membership! As would be expected, this Committee recommended to the General Assembly that “no action be taken” on the overture, and the General Assembly adopted this Committee’s recommendation. Ten years later, in 1934, an effort was made at last to discipline some of the signers of the Auburn Affirmation in one of the Presbyteries of the Northern Presbyterian Church. In October of that year formal charges of heresy were filed in the Presbytery of Philadelphia against eleven Auburn Affirmationist ministers who were subject to the jurisdiction of that Presbytery. But the proceedings never reached the stage of a trial, and the doctrinal issues involved were never squarely faced by the ministers accused. It was claimed that the Auburn Affirmation had been signed some ten years earlier and that a trial was now outlawed by the “statute of limitations.” After a considerable amount of argument, the Presbytery of Philadelphia, by a vote (in which the accused ministers themselves took part! ), refused to allow the formal charges of heresy to be referred to its Committee on Judicial Business, and it ordered the formal charges of heresy to be returned to the prosecutors who had filed them. Thus the efforts of the Conservatives to discipline the signers of the heretical Auburn Affirmation had failed. And the Modernist camel, having now thrust his head into the Northern Presbyterian tent, soon began to thrust in his shoulders preparatory to standing up and trying to walk off with the entire tent. burn Affirmationists have been placed on the faculties and boards of trustees of some of its theological seminaries. It was not until 1940, however, that the Auburn Affirmationists succeeded in having one of their number, Dr. William L. Young, elected to the high office of Moderator of the General Assembly. And in the same General Assembly of 1940 the influence and power of the Affirmationists were clearly demonstrated with regard to an overture received from the Presbytery of Arkansas (of the Northern Presbyterian Church), which asked that the “Five Points” which had been declared to be “essential” doctrines by the General Assembly of 1923 now be declared once more to be essential. This overture was referred to the General Assembly’s Standing Committee on Bills and Overtures— the chairman of which was an Auburn Affirmation signer. This Committee recommended, of course, that the General Assembly take no action on the overture from the Presbytery of Arkansas. And the General Assembly adopted this Committee’s recommendation by unanimous vote. And in the General Assembly of 1941 the power and influence of the Auburn Affirmationists were again clearly demonstrated. In that year the Presbytery of Cedar Rapids sent an overture to the General Assembly of the Northern Presbyterian Church which was intended to assure our Southern Presbyterian Church of the doctrinal soundness of the Northern Presbyterian denomination. This overture asked the General Assembly to state that it regarded the following “as being involved in the ordination vows to which we subscribe”:—the infallible truth and Divine authority of the Scriptures, belief in Christ as true and eternal God, the Virgin Birth of Christ, the substitutionary atonement, the bodily resurrection, and the second coming of Christ. This overture from the Presbytery of Cedar Rapids was referred to the General Assembly’s Standing Committee on Bills and Overtures, and that Committee had as its chairman in 1941 none other than Dr. Henry Sloane Coffin, who was among the first one hundred and fifty Northern Presbyterian ministers who had signed the Auburn Affirmation! Dr. Coffin’s Committee took this overture and rewrote it so that it did not affirm a single Christian doctrine! The General Assembly then adopted this rewritten overture piously reaffirming “the fidelity of the Church to its doctrinal standards” and declared itself convinced that “its ministers and elders are loyal to their ordination vows”—whatever that might mean, to Auburn Affirmationists and to other Modernists! But it was not until 1943 that the Auburn Affirmationists finally succeeded in climbing Mount Everest and in planting the Modernist banner on its very summit. For it was in 1943 that Dr. Henry Sloane Coffin, that extreme, radical Modernist who was among the first to sign the Auburn Affirmation, was elected Moderator of the General Assembly of the Northern Presbyterian Church! Twenty years ago no one would have dreamed that this could possibly happen! 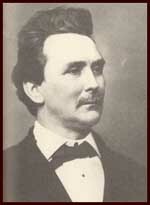 Dr. Coffin, long-term President of Union Theological Seminary of New York City, one of the most noted centers of extreme Modernism in America; an institution which in 1892 terminated its relation to the General Assembly of the Northern Presbyterian Church because the General Assembly of that denomination had in 1891 failed to confirm the appointment of Dr. Charles A. Briggs as Professor of Biblical Theology at Union Theological Seminary of New York City (the same Dr. Briggs who was found guilty of heresy and was suspended from the ministry of the Northern Presbyterian Church in 1893 but who remained a professor at Union Seminary until his death in 1913); Union Seminary of New York, that institution which for years had as Professor of Practical Theology the well-known, radical Modernist, Dr. Harry Emerson Fosdick, who has written, over his own signature, the following statement: “I do not believe in the Virgin Birth, or in that old-fashioned substitutionary Doctrine of the Atonement; and I do not know any intelligent Christian minister who does”! Dr. Coffin, who himself has written: “Certain widely used hymns still perpetuate the theory that God pardons sinners because Christ purchased that pardon by his obedience and suffering. But a forgiveness that is paid for is not forgiveness. There is no cleansing blood which can wipe out the record of what has been—the Cross of Christ is not a means of procuring forgiveness”! Dr. Coffin of all the ministers in the Northern Presbyterian Church, honored with the highest position in that denomination! Truly the signers of the heretical Auburn Affirmation had come a long way since 1924. Today the Northern Presbyterian denomination is honey-combed with Auburn Affirmationists and with their theological fellow-travelers. Their influence in the official affairs of that church is decidedly powerful and wide-spread. They have their hands on much of the machinery that governs the affairs of that denomination. If the Southern Presbyterian Church were to unite with the very much larger Northern Presbyterian Church, Southern Presbyterians could rest assured that to a very large extent their church activities would be controlled by the Auburn Affirmationists and the other Modernists who are now exerting such a powerful influence in the larger Northern Presbyterian Church. 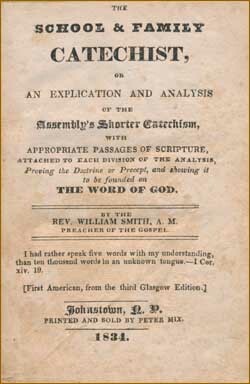 What shall every Southern Presbyterian, as a Bible-believing Christian who repudiates completely the views contained in the Auburn Affirmation and who wishes to remain separated from the signers of the heretical Auburn Affirmation, say with regard to the proposed union with the heresy-tainted Northern Presbyterian Church? The latter half of the twentieth century was marked by a number of unions between various Presbyterian denominations. There were splits too, but the number of mergers or attempted mergers was noteworthy. One attempted merger, never brought to completion, occurred over the middle years of the 1970s. Ultimately these talks between the Orthodox Presbyterian Church (OPC) and the Reformed Presbyterian Church, Evangelical Synod (RPCES) ended without creating the merger. Perhaps more accurately, talks of merger were transformed into a larger vision, as the OPC, the RPCES, the Reformed Presbyterian Church of North America (RPCNA) and the PCA began a mutual discussion in the late 1970s, which finally led to the RPCES being received into the PCA, while the OPC and RPCNA continued on as separate denominations. What follows is the transcription of a two-page document recently located in the PCA Historical Center. This is report on a second informal conference between the OPC and the RPCES. There was a prior report on the first of these conferences, but I cannot find that we have that document. If one of our readers does have it, please contact me at the PCA Historical Center. A SUMMARY of the second informal RP-OP Conference of Expressions on the union of the two denominations at John Knox Orthodox Presbyterian Church, Silver Spring, Md., Saturday, November 23, 1974, 9:00 a.m. These two presbyteries are either indifferent to dangers or valiant enough to walk where angels fear to walk; mature in grace or ostentatiously obsequious; or those who really oppose the union do not come to these meetings but if there do not press their issues. The Rev. Larry Vail of Grace OPC, Vienna, Va., led the brethren in a meditation on Ephesians 3:14-21. He stressed that Paul’s prayer has the impulse for church unity. He mentioned that this impulse is love and that this love is the fertile ground for faith, which in turn becomes the basis for the UNITY of the Body of Christ. A period of prayer followed the meditation. A. The Scope and Character of Eschatological Liberty. C. The Apologetical Significance of the Doctrine of God, Regeneration, Faith, and the Unity of the Covenant. E. Discipline as Held on Paper and Practice. F. Organic Union and the Scriptural Mandate. Dr. Robert Countess moderated the meeting. Dr. Countess is pastor of OPC in Manassas, Va. (until July, 1974, he was RPCES). The Rev. Dominic Aquila, of Stony Point RPC, gave a summary of his paper on the first RP-OP Conference. Dominic reiterated that the issues of difference are not in the area of theology, church polity, etc., but rather in the realm of real suspicion and misunderstanding; not the content but the individual viewpoints. An OPC brother expressed that suspicion toward OP evangelistic apathy can be substantiate, but only on the basis of isolated occurrence. Yet an isolated situation can never become a norm to characterize a denominational emphasis or the lack of it. A reply from the RP was that similar situations have occurred in the RPC and could have led to suspicion among the OP. To that the moderator gave an apt illustration from his personal experience. An elder urged that real obstacles for union still exist on account of the lack of being sufficiently informed on the level of the elders. The eschatological matter was more predominant at this meeting. References to the Larger Catechism Questions 86-89 were made. It was suggested, that if the RPC Standards do not show the change as given in the proposed Plan of Union, why then have the change, if it causes considerable difficulties to accept the proposed change. An RP man expressed that, as he sees it, this issue is more at the gut-level—emotional. He said the proof to that was exceptionally evident at the RP Synod in May, 1974. Another urged that distinctions have to be made clear, that there is a difference between the historic pre-millennial view and dispensationalism, in order to alleviate prevailing misunderstandings. Both denominations confessed to the fact that they have eschatological mixture and considerable liberty. Because of that the brethren were reminded that there are always emotional people in any group and that therefore certain attempts to make charges of heresy will be inevitable. The important part of that is, will the charge and response be done in mature love? A situation concerning RP minister ______ ________ and the OP Presbytery of ______________ was presented to illustrate the point of emotionalism. But the assembly was cautioned not to make that issue an illustration of an eschatological clash but rather a legitimate presbytery matter to which the assembly had not enough facts to draw illustrative conclusions. Some one else suggested the possibility of having something black on white to promote and protect eschatological liberty in the future in the merged denomination. The other posted topics did not find such lengthy evaluations. Topic C was drawn out, and mention was made that this was more a matter of individual emphasis of those who are involved in this field. The differences that exist will continue to be more personal than normative. Neo-Pentecostalism and issues concerning it SEEMED to be more settled in the mind of the brethren or insufficient facts thwarted any “juicy” discussion on this matter. It was pointed out that the Form of Government of both denominations expressed some implicit attitude (OPC FOG ch. 3, par. 1, and RPC FOG ch. 5, par. 1). Christian liberty caused no aspects of disagreement. There seemed to be general agreement on the statement on holy living in the plan of union. In conclusion, one should say that it is refreshing to get together with another denomination and find such large and wide range of harmony. Thanks to God’s eternal grace, we have the more excellent way to settle the differences that exist. May it be said of us in the future that the love of Christ constrained us . . . rather than that emotional fulmination variegated us. This brief essay by the Rev. Francis A. Schaeffer appeared in the October 1943 issue of the Bulletin of the Independent Board for Presbyterian Foreign Missions (IBPFM). May it serve as a timely and relevant reminder and may God enable us through His Holy Spirit, through prayer and through His Word as we continue to confront the evils of this world. 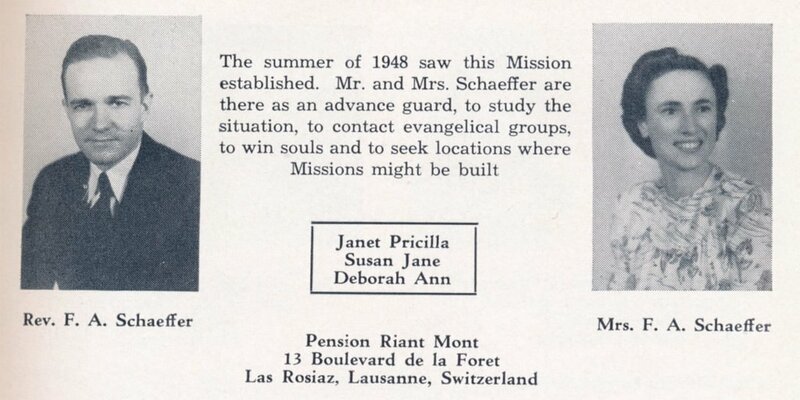 The photo shown below is from a later issue of the IBPFM Bulletin, as the Schaeffers began their ministry in Switzerland in 1948. “I will make of thee a great nation.” Gen. 12:2.
vanish and many would turn to Christ at once.–Editor. We live in an age in which anti-Semitism is a powerful force. In many lands it has resulted in the death of countless Jews. Even in our own land it shows itself in various guises from time to time. Even among those who call themselves fundamentalist Christians we find an occasional individual who spends a large portion of his time assailing the Jews. Considering anti-Semitism, the first thing that fixes itself in my thinking is the fact that Christ was a Jew. When we open the New Testament to Matthew 1:1, we find the very first claim made concerning Christ is that he sprang from Abraham and was a descendant of David. The Bible does not say that Jesus just happened to be a Jew, but the Word emphasizes over and over again that he was a Jew. When He was eight days old, He was taken to the Temple and circumcized as was every Jewish male. Therefore, we must remember that Jesus bore in His body the physical mark of the Jewish people. When He was twelve, He was dedicated at the Temple, again emphasizing that His Jewish race and Jewish faith were not incidental to Him, but that from His early training they were His vital human background. During His public ministry, as an adult man, the Bible teaches that while repudiating purely human Jewish traditions, His life carefully conformed to Old Testament standards. In fact, He lived in such a way that even the Old Testament prophecies concerning the Messiah were fulfilled fully in Him. He was the Jew of all Jews. In His public ministry we find Him dealing almost exclusively with the Jews. Hardly ever did He touch a Gentile life. The twelve disciples were all Jews. The earliest church consisted completely of Jews. It was Peter, the Jew, who spoke to the proselyte, Cornelius. It was the believing Jews, scattered abroad by the persecution following the death of Stephen, who took the Good News to Antioch of Syria where the first Gentile Christian Church was formed. The missionary who opened up the heathen Roman Empire to the preaching of the Gospel was the Jew, Paul. And if we ask ourselves why it was that the Jews received such an important place in the early Christian Church, we must realize that it was not an afterthought in the plan of God, but that for two thousand years God had been working in history to bring forth this very fact. God called Abraham from Ur of the Chaldees as the first Jew when the earth had completely apostasized from the living God. He promised him that the land should be his, that he should have numerous seed, but above all things, that all the world should be blessed through him. God called forth Abraham for this specific purpose, that through him the Messiah should come. The Jews for two thousand years, in the providence of God, were the cradle of the coming Redeemer. As we examine the history of that two thousand years, we find God constantly reaffirming the promise of the coming Messiah to the Jews, so that not only was the promise made to Abraham but to Isaac and Jacob, and then it was narrowed down to the tribe of Judah, and then to the royal family–the family of David. As the years passed by it was also promised that He should be born in Bethlehem, that He should be a suffering Messiah, but also that He should rule in Palestine on behalf of His people, the Jews. In these two thousand years in which the way was prepared for the coming of the Messiah, all the earth was in darkness but for the light that shone in Israel. While our ancestors worshipped we know not what, but certainly not the living God, the Jews were called God’s chosen people. They were separated from all other peoples of the earth. They were loved of God, a kingdom of priests. And even in their times of sin, God kept His hand upon them in order that a remnant should be His from which the Anointed One should come. Nay, Jesus was not a Jew by accident, nor as an incidental thing in the plan of God; if Jesus had not been born a Jew, according to both the Old Testament and the New, He could not have been our Saviour. As for the present time in which we live, Romans 11:17 – 24 teaches that we Gentile believers should not boast against the Jews, the natural branches, for if God spared not the natural branches, we are told to take heed lest He spare not us. How clearly it is emphasized that if we who were wild branches by nature, were grafted contrary to nature into the good olive tree, much more shall the natural branches be grafted into their own olive tree. And what does Ephesians 2:14 stress to us but that at Jesus’ death the middle wall of partition was broken down between Jew and Gentile–not that the Jew should be cast aside, but that we should have place with the Jew by faith. Abraham is now our father, and as we have put our faith in Christ, we are now spiritual Jews. For the future the Word of God is explicit still. In Romans 11:25 it is made clear that the blindness which now in part is happened to Israel is not forever bu until the fullness of the Gentiles be come in. And then what is to come to pass? The 26th verse tells us that all Israel shall then be saved, when the Deliverer shall turn away all ungodliness from Jacob. The 29th verse is a verse that we love and use for ourselves, “For the gifts and calling of God are without repentance.” We may take it to ourselves because God never breaks any promise, but let us notice that the primary application in this place is to the Jew. God has promised great things for Israel as a nation, and this Word here tells us that He will bring them to pass. If He does not bring them to pass, then the gifts and calling of God are not without repentance. Clearly again, in Zechariah 12:10 it is stated that the day will come when the Jews “shall look upon me whom they have pierced, and they shall mourn for him, as one mourneth for his only son.” In the day when Israel shall be saved they shall look upon Jesus and know that in His first coming He was their true Messiah. Again, it is not only the Old Testament which promises that the land of Palestine will once more belong to the Jews, but in the New Testament, in Luke 21:24, we are told that Jerusalem shall be trodden down by the Gentiles only until the time of the Gentiles shall be fulfilled. Therefore, the Word tells us that the day will come when all Israel shall be saved, and the Jews will look upon Jesus as their true Messiah, and also that the Promised Land will be theirs once more. It is not only for the past, not only for the present, but also for the future, that we who are now Christ’s should love the Jew. We cannot expect the Gentile, who merely uses the term “Christian” to designate the difference between Gentile and Jew, to love the Jew, but we who are Christians indeed, in that we have been saved through faith in Christ, should love His ancient people. Above all things in this regard we should keep constantly in our minds that our Lord Himself was a Jew–born a Jew, lived a Jew, died a Jew. Also, the great majority of those heroes of the faith I personally long to see when I go to be with that Lord are Jews. I want to see Abraham; and he is a Jew. And I want to see Isaac; he is a Jew. I want to see Jacob; and he is a Jew. I want to see Joseph; and he is a Jew. I want to see Moses; and he is a Jew. I want to see Joshua; and he is a Jew. I want to see Gideon and the other judges; and they are Jews. I want to see the prophets–Isaiah, Elijah, Elisha, and all the rest; and they are Jews. I want to see Daniel and Ezra and Nehemiah; they are Jews. I want to see John; and he is a Jew. I want to see James; and he is a Jew. I want to see Peter; and he is a Jew. I want to see Paul; and he is a Jew. These are only some of those I long to meet who bear the name of Jew. How could I hate the Jew? And if this is not enough for those of us who are Bible-believing Christians, let us note the command of God in Romans 11:31. It tells us clearly what our attitude in this age should be to natural Israel. We should have mercy unto them. And, my friends, mercy and anti-Semitism in any form do not live in the same household. We cannot seek to win them individually to the Lord Jesus Christ as their personal Saviour if we despise them as a people in our hearts. Not long ago an influential Jew in New York City, the Labor Editor of one of the New York papers, quoted to me a little poem which he said was widely repeated among the Jews of that city. As I have considered this rhyme, I have found it more than an interesting jingle. It speaks wisdom concerning the man who bears the name of Christian and yet is anti-Semitic in his thinking.